When apportioning marketing spend to promotional gifts, it is vital to maximise ROI with the right product selection. Gadgets are attention-grabbing, with a high interest factor and retention – a winning combination for promotional campaigns. Gadgets are typically very well received, being on-trend and up to date by nature. Many recipients prefer a gadget rather than a traditional gift such as a pen or a mug, as they have an inherent usefulness. For example, branding a USB stick will virtually guarantee a high retention time – particularly if you opt for a large memory size. 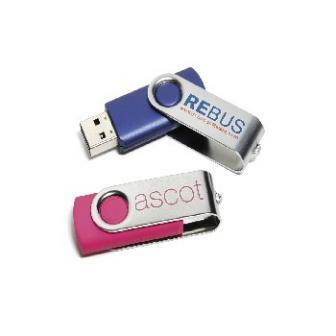 Indeed, USBs can be pre-loaded with company or product information, whilst still leaving room for use by the recipient. Bespoke shapes are also available, allowing a company to tailor the product to the advertising campaign. 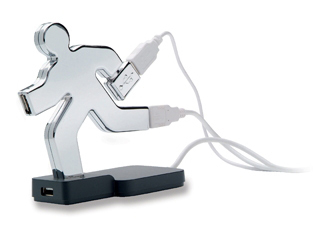 Other USB promotional gadgets can be branded too, putting your logo in prime position and readily to hand on a desk. There are many multi-port hubs available with a good sized print area, which provide a usefulness that is often under-estimated. Choose a version with a variety of ports, and your clients will appreciate never having to search for the correct charger or cable again! Your branding will also be at the forefront of the working day, with an eyeline desk position. The popularity of new technology gives fresh opportunities for branding; the association with an on-trend tech craze will heighten your marketing. Mobile chargers and docks, including those for iphones, are available in a wide range of styles. The iphone has become synonymous with quality; so too will your company branding. Speakers and MP3 players are a versatile and well received promotional gift, enhanced by a high retention value. When on a long lasting product, your logo has the potential to be seen for years, re-enforcing your branding for years to come. Mp3 players and speakers, in particular, will extend your marketing far beyond the office or home, reaching a virtually limitless audience. Health-related promotions are a hot theme for 2012, not least as a tie-in with the Olympics. Branded pedometers are one of the most popular promotional gifts of the year – useful, functional, and with an inherent longevity. And for the summer sun, UV testers are a product of choice, whether it be on a keyring or a wristband. They have the ‘gadget appeal’ but with a vigilant safety purpose.